Well, page is going to be late, HOWEVER, I’ve made a new addition to the character page in light of recent developments. If you’d like to see NEW CHARACTER ART for Meryl, then have a look at the Cast page for more information. Doing my best to keep Character Bios rather vague and only as revealing as the current synopsis – but, like the synopsis, some stuff is hard to keep hidden due to lack of necessary context otherwise, so, my apologies in advance! Anyway – I’m doing my best inbetween work assignments to finalize the next page, but if I can’t get something out by mid-week, then I’ll try to shoot for a double-update by Monday. I appreciate your patience with everything!! Thank you for your support. 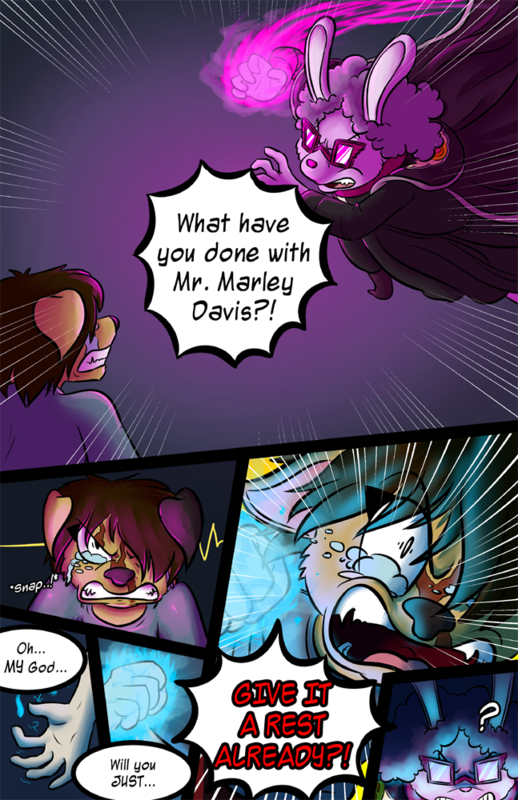 Two weeks later, we have a new page! Sorry for the sporadic updates – bad mental week, followed by a bad work week, it was. Kind of a time. Anyway. I’m going out of town next weekend, so I can’t guarantee I’ll have a page ready for Monday. I’ll try! I do have to focus on work leading up to my travel dates, though, so I may not get a chance to do so before I take off. Here’s to hoping!! But, if I can’t, then the Monday afterward will work. Either way, check my Twitter, or check back here, for any updates on the situation. With that, I leave ya’ll on a tiny cliffhanger page, WHOOPS. Enjoy!